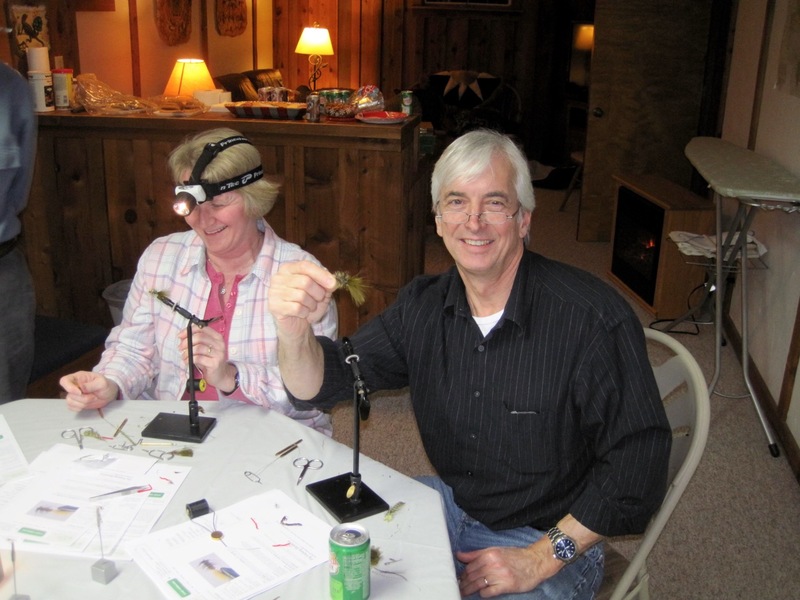 The chapter has conducted or sponsored a number of fly tying events for members, from beginners to advanced tiers. 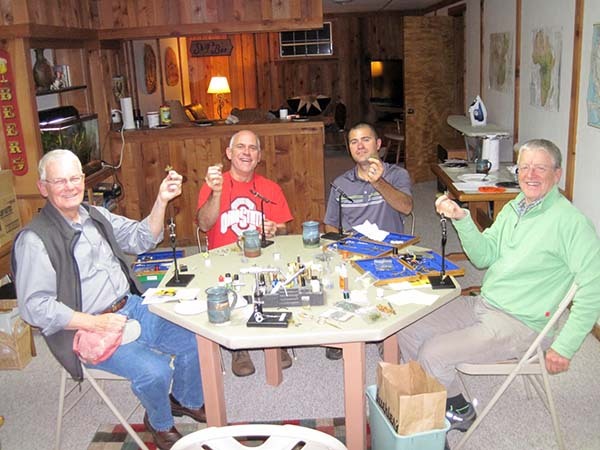 Some of our monthly chapter meetings have been devoted to fly tying. Also, small groups sessions have been arranged for more intensive instruction for fly tiers. 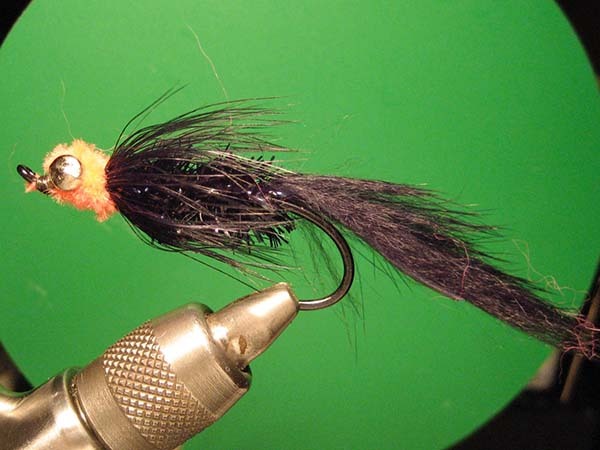 The chapter has purchased a dozen fly tying kits with tying materials to loan out to beginning tiers. 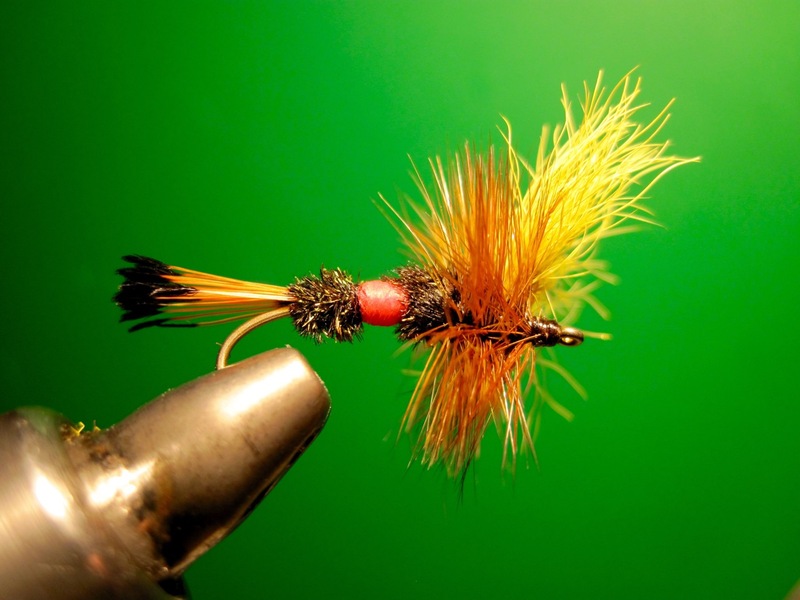 Also, once per year, usually February or March, the chapter holds its monthly chapter meeting in conjunction with John Rochus’ fly tying get-together, at the Sippo Lake Library building in Canton. The three hour long meeting includes a session where expert fly tiers demonstrate how to tie selected patterns. Members and guests bring along their vises, tools and materials and learn to tie these patterns. 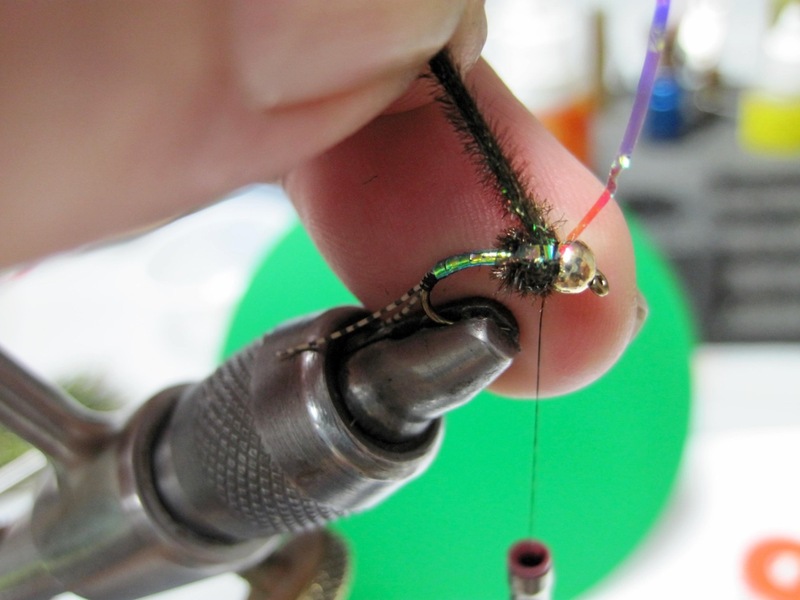 Tiers proudly showing off their new fly at a fly tying session. 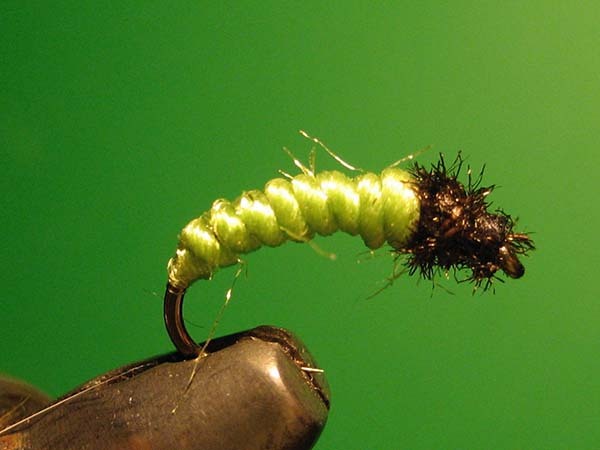 Tying up an Aurora nymph, a pattern designed by Dennis Potter. 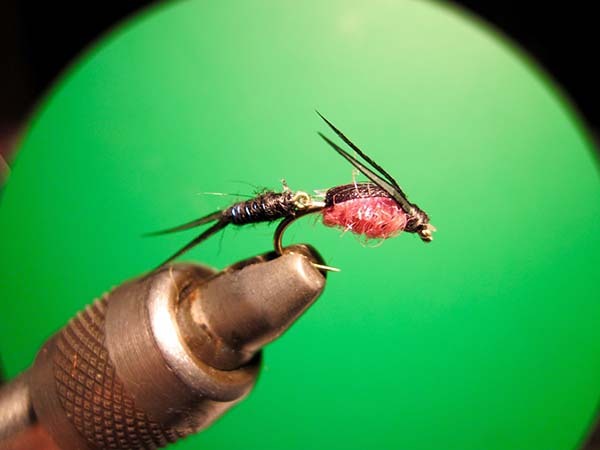 A completed Aurora nymph, a hot fly on the Clear Fork River in 2017. Prince nymph tied with an ostrich herl collar. 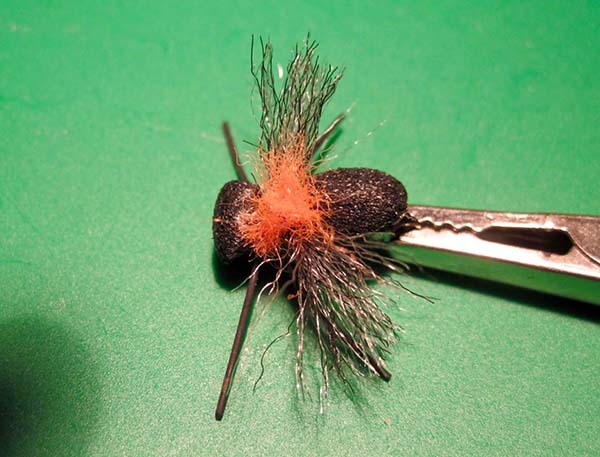 A simple to tie caddis fly nymph. 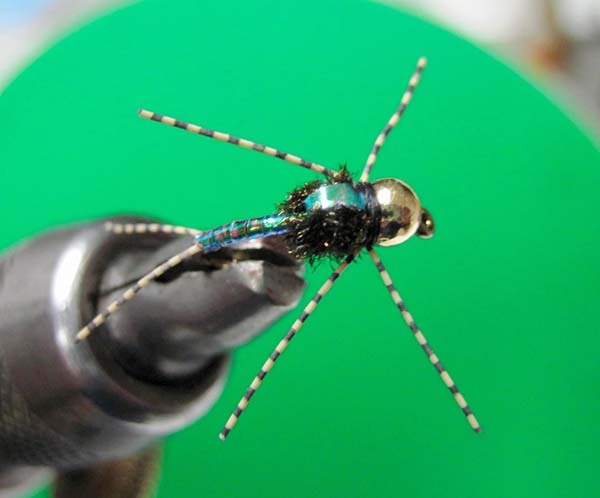 Senyo's black stonefly nymph, a jointed pattern that works well on steelhead alley. 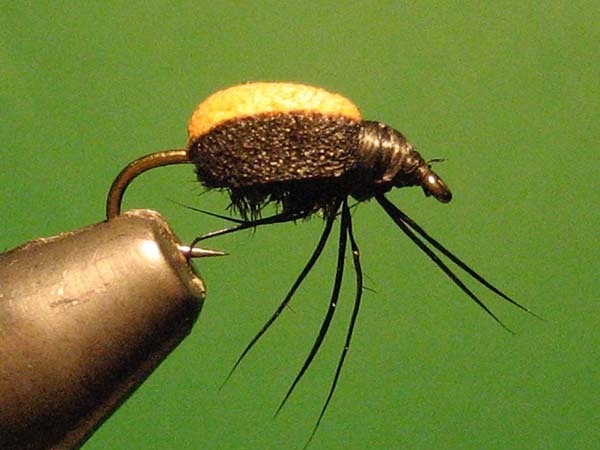 The fat head beetle, a new pattern designed by Dennis Potter. 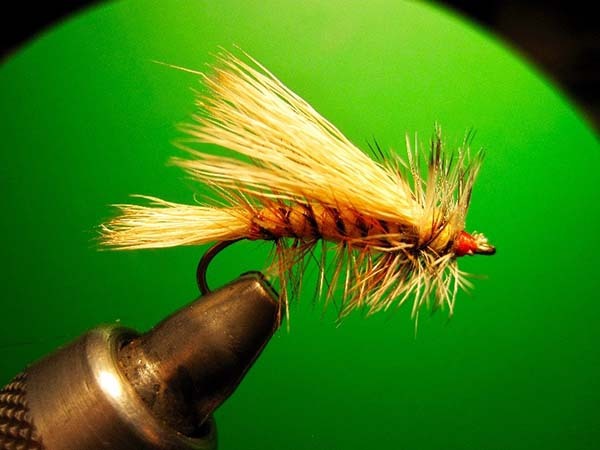 The stimulator, a good dry fly attractor pattern. 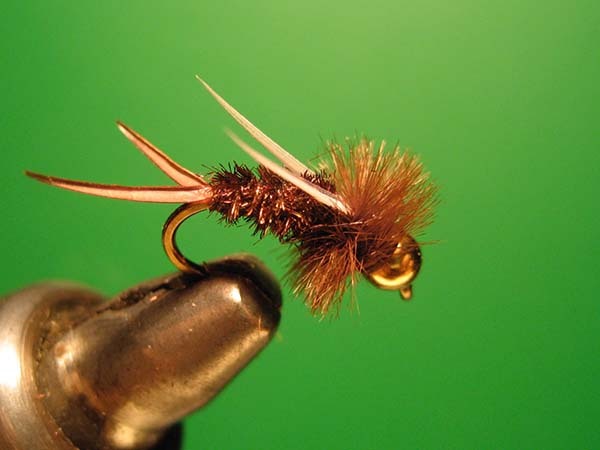 Royal Wulff, an effective attractor dry fly pattern. Renee & Daral, a couple of new fly tiers.